The Yamal-100series of communications satellite was built by JSC Gascom jointly with RSC Energia under order of JSC Gazprom involving Russian cooperation and using high-quality RF equipment of the leading foreign manufacturers - Space Systems/Loral (transponders), NEC, Alenia Aerospazio, ComDev, Lockheed Martin. 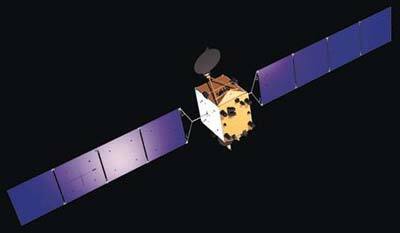 Yamal-100 is the new generation Russian communications satellite. There were applied key state-of-art technologies in this satellite, including unpressurized modules, sandwich honeycomb constructions, contour antennas. Both satellites were orbited by a single launch of a Proton-K Blok-DM-2M. Yamal 101 reportedly ran into problems after it was deployed.